Did you know anyone involved in an auto accident in the state of Oregon, regardless of who was at fault, is entitled to a minimum of $15,000 of personal injury protection benefits? The inconvenient fender-bender, interstate collision, or even a severely traumatic car accident can cause life long injuries. It’s important to understand the steps towards protecting yourself in event of an auto accident. 1. Don’t admit fault: Your perception following an auto accident may be faulty and it is best to allow time to pass before detailing the events. Don’t admit fault to the police, other driver, or witnesses even if you are partially to blame for the accident. 2. Seek medical attention: Adrenaline and shock may mask your symptoms immediately after the collision; several days to weeks may pass before the injuries become apparent. 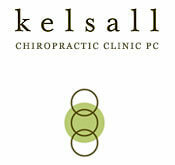 Contact your chiropractic physician at Kelsall Chiropractic for immediate evaluation of your injuries. Proper healing of injuries now, prevents life long repair. The primary goal at Kelsall Chiropractic following an auto accident is to reduce the inflammation of the injured areas, allowing for pain reduction, and quicker healing as part of our auto accident chiropractor services. Secondary focus of treatment is repair and rehabilitation, with the goal to return the patient to pre-injury status. This usually includes home care exercises, soft tissue massage and myofascial release or Graston technique with chiropractic manipulations. The treatment plans may vary depending on type and severity of injuries. The Chiropractic physicians often co-manage with physical therapists, medical doctors, or other specialists when appropriate.